← Sunset at Pencarrow Blog Tour Stop at Gillian St. Kevern’s. 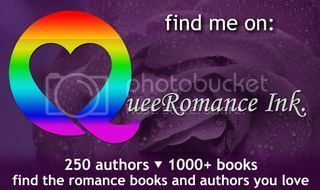 A big welcome today to Sid Love, as part of his blog tour for Detour. And also thank you for a copy of the book so I could read and review! I enjoy reading books with flawed heroes and the characters in Detour make plenty of mistakes. I found the writing style very easy to read, and the story flowed well. The settings and characters were easy to visualize, and I really liked the secondary characters especially Amy and Liana. I enjoyed the fact that they had their own HEA to pursue. The bad guy was really horrible—but then he’s meant to be. Detour brings to home the importance of family and their influence in a person’s life, which I think is one of its strengths. I did find the plot a little predictable in places although that didn’t stop me from continuing to read to find out what happened next. I also had some reservations about the decisions some of the characters made considering what they’d just been through, and found myself thinking “seriously, why would you do this?” in places, but I figure people make mistakes and that is part of what makes these characters come across as human. Although I felt the story was more of a HFN with a hint of HEA in the future, as the characters still have a way to go on their journey to work through their experiences, I felt satisfied with that, and it worked well for the story. 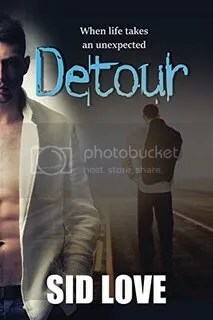 I’d recommend Detour to readers who enjoy contemporary romance with flawed characters, well developed secondary characters, and a strong sense of family. 3.5 out of 5. In 2007, when he had just turned sixteen, he decided that he would make his lifelong dream come true—to become a well-known, respected author someday. Ask him and he would refuse to accept that he is obsessed with books. Or movies. Or TV shows. Addicted may even be the right word. Winner gets a paperback copy of DETOUR! This entry was posted in blog tour, book review, cool dudes publishing. Bookmark the permalink.